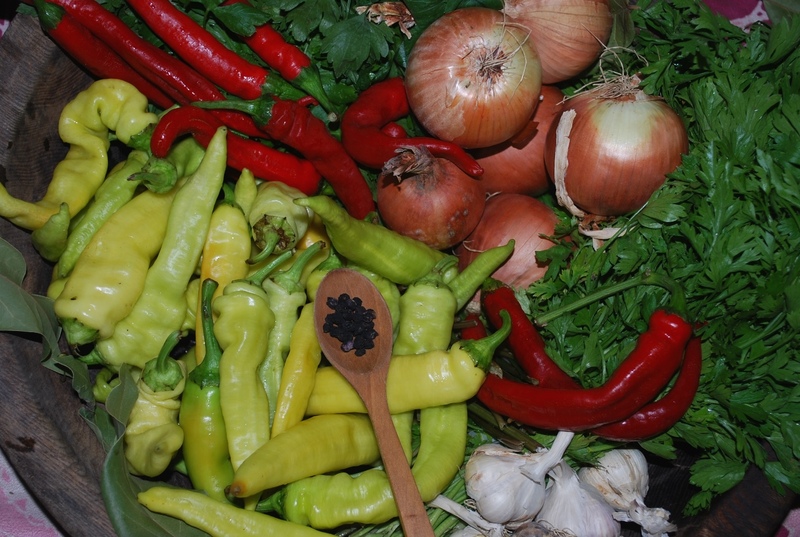 Marinated vegetables are very popular in Georgia and marinated peppers are a particular favorite. 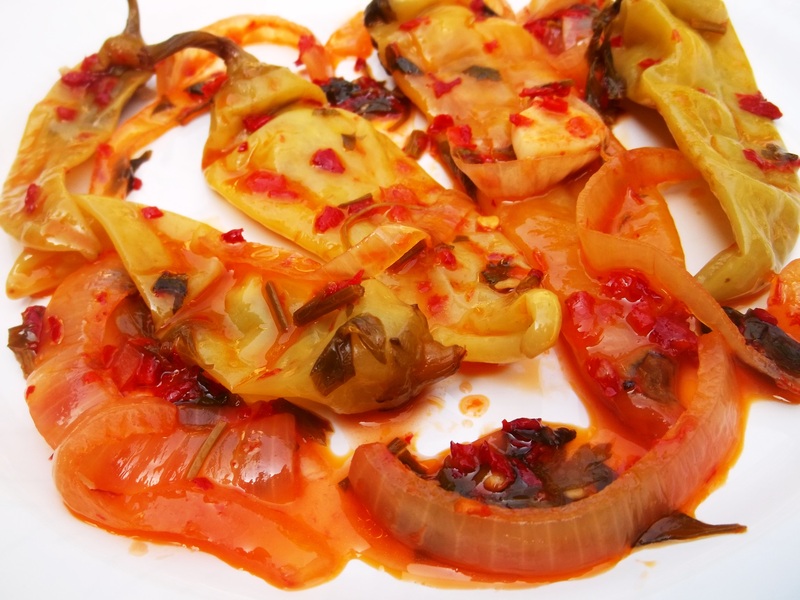 In this family recipe we show how to marinate a tasty mix of sweet and hot peppers that can be stored for many months. 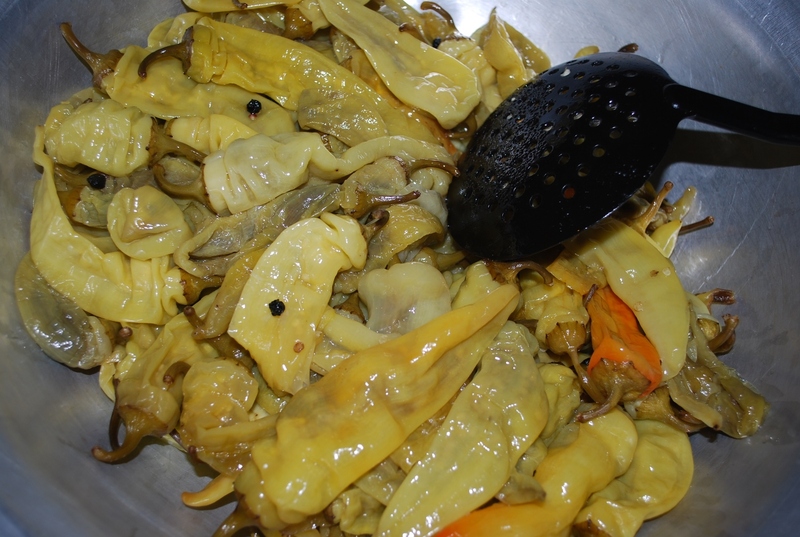 Ingredients: 8 kilos of sweet green or yellow peppers, 1.5 kilos of hot red peppers, 2 kilos of onions, 180 grams of salt, 200 grams of sugar, 1.6 liters of vinegar, 1.5 liters of oil, 13-15 bay leaves, 500 grams of garlic (net weight after skins removed), 150 grams grams of parsley, 250 grams of celery leaves, and 1 tsp of black peppercorns. 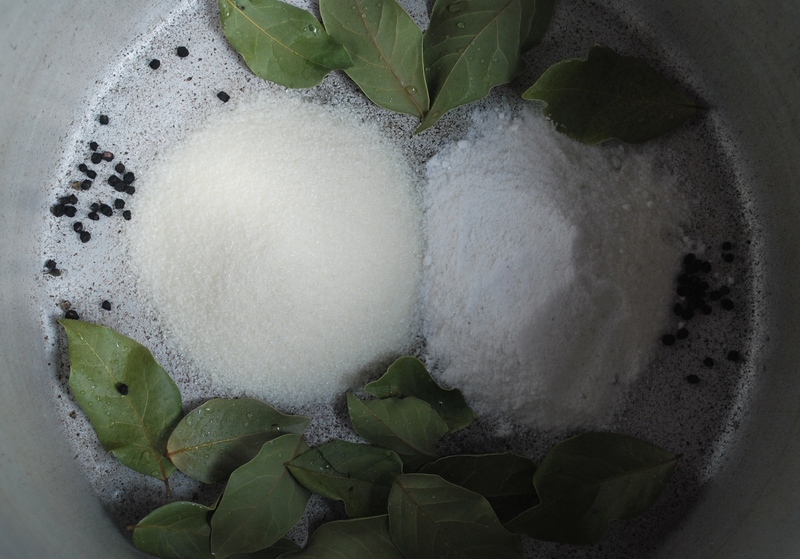 Add the sugar, salt, black pepper corns and bay leaves to a deep pot. Add the vinegar and oil. Bring to the boil on a very low heat, stirring continuously. Allow to simmer for 5 minutes. 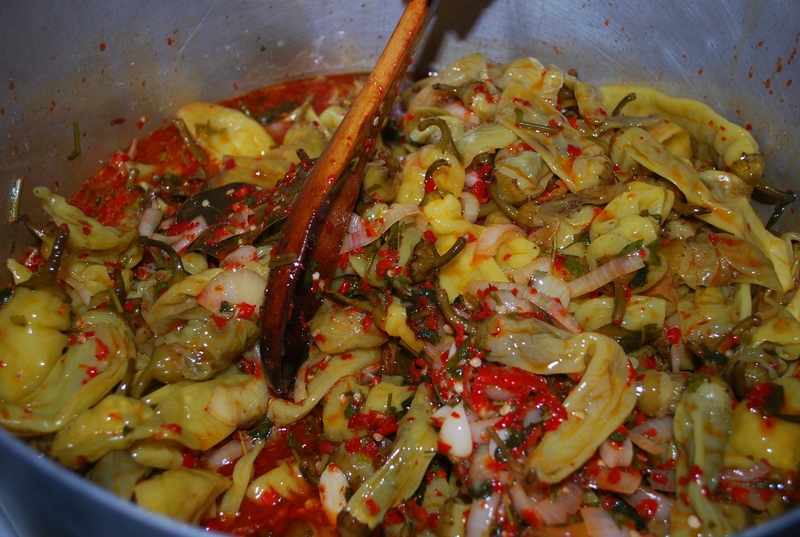 Add 10% of the peppers to the pot and use a wooden spoon to press them down. 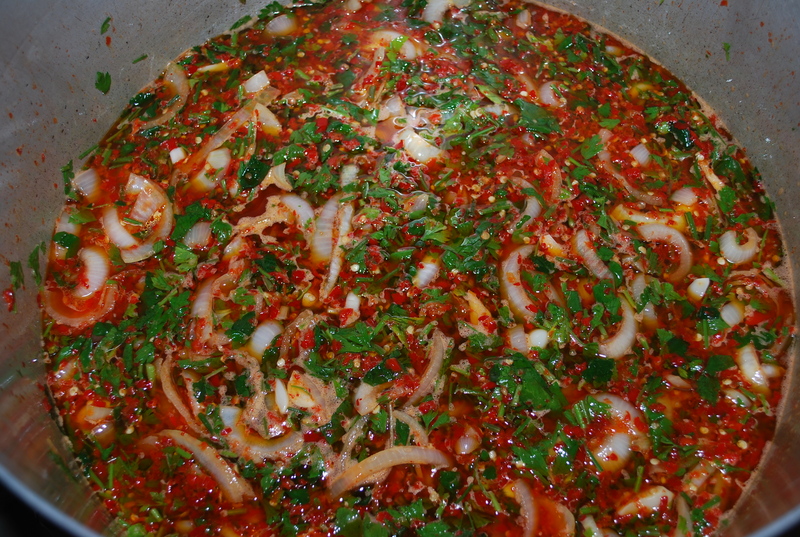 Boil the peppers on a low heat for 15-20 minutes, stirring frequently (and carefully). Use a sieve to drain off the liquid into a bowl. Put the peppers into a separate bowl. 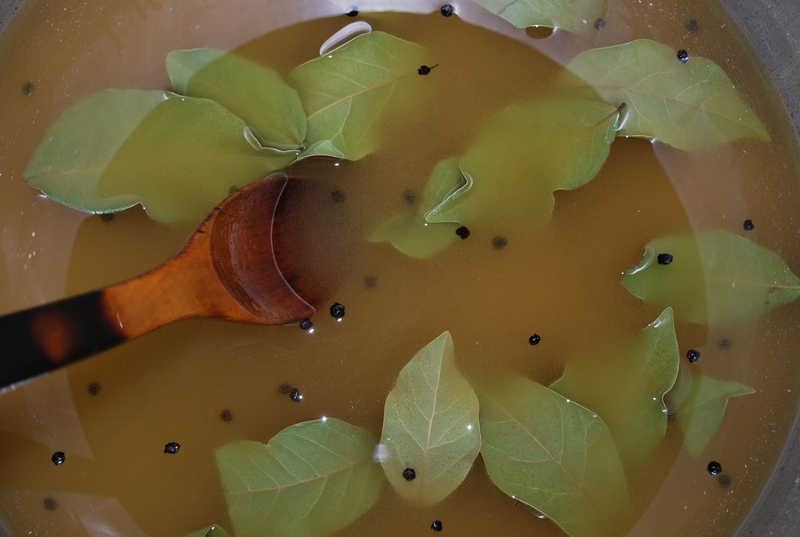 Return the liquid and bay leaves to the pot. 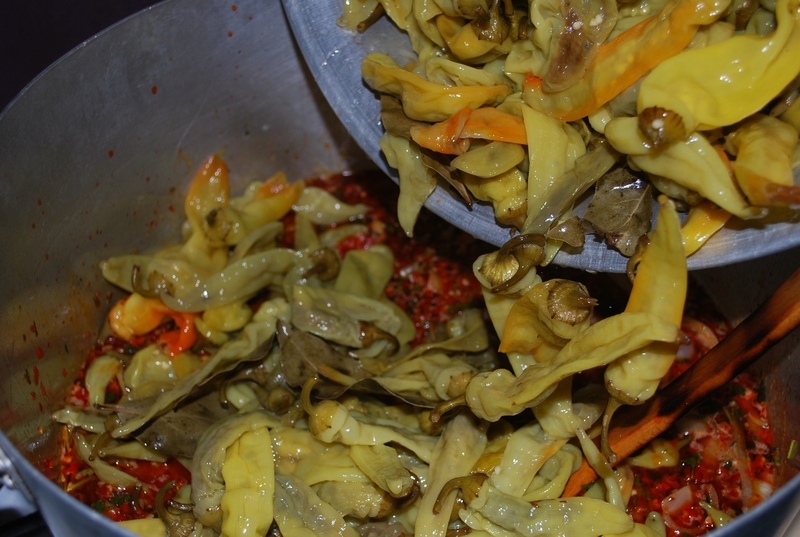 Repeat the process with the remaining peppers until all of the peppers have been boiled in the liquid. 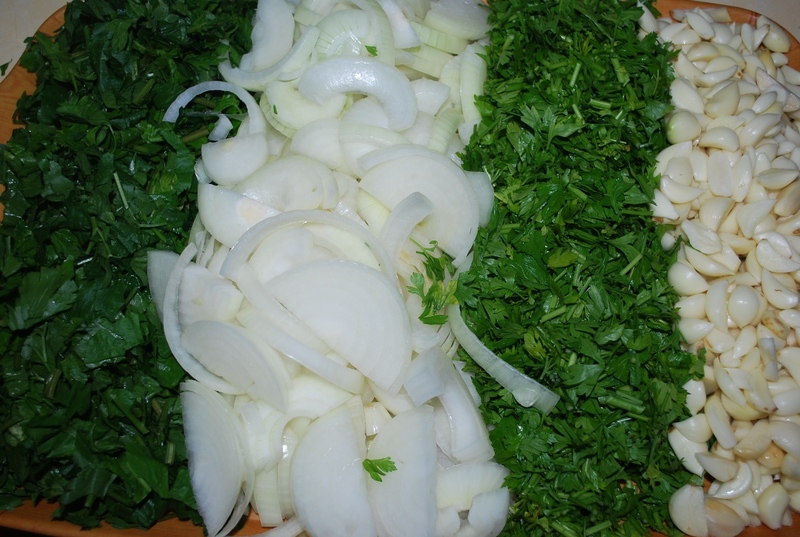 Chop the celery leaves and parsley. 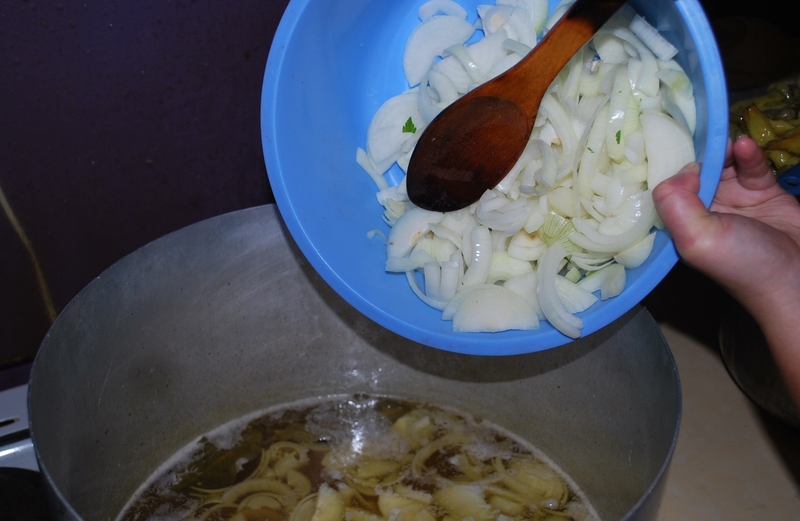 Slice the onions and remove the skins from the garlic. 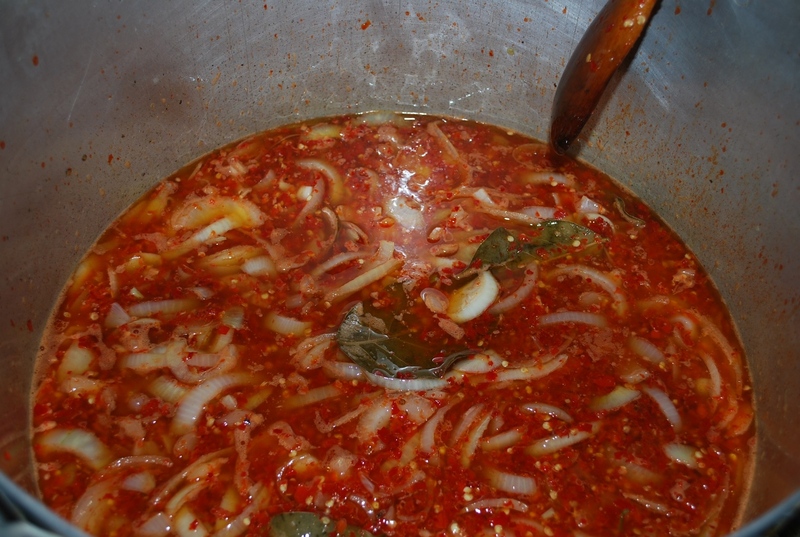 Allow the liquid used to boil the peppers to cool for about 10 minutes and then add the onions and garlic. 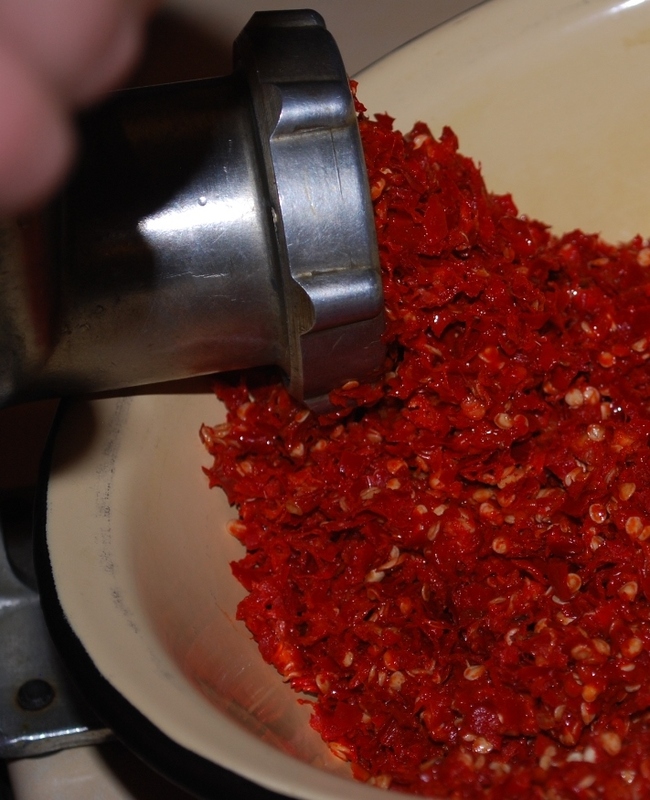 Grind the red peppers. We used a meat grinder. 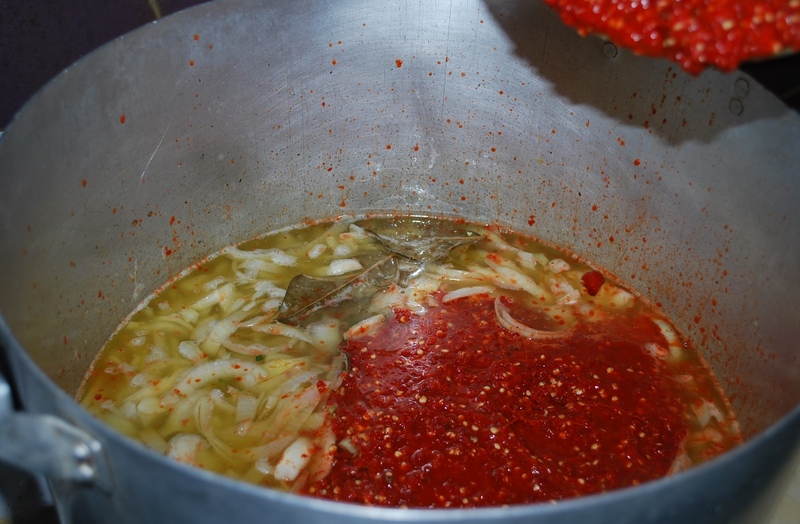 Add the ground red peppers to the pot. 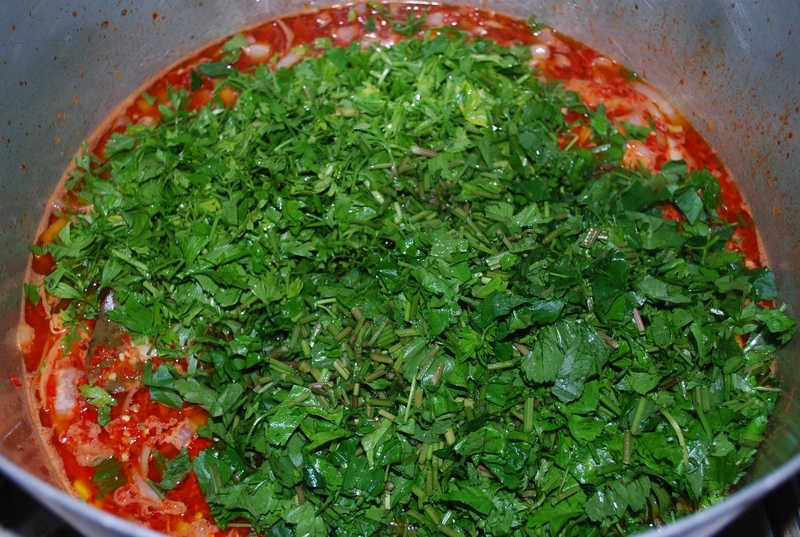 Add the chopped parsley and celery. 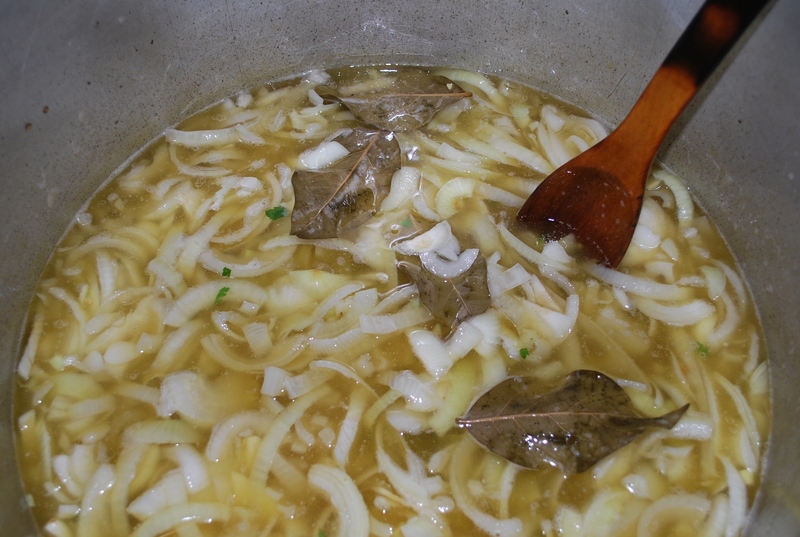 Stir and bring to the boil on a very low heat and then simmer for 7-8 minutes until the leaves soften. Turn off the heat and add all of the peppers. Stir thoroughly but carefully with a wooden spoon. The peppers are now ready to be stored in sealed jars. 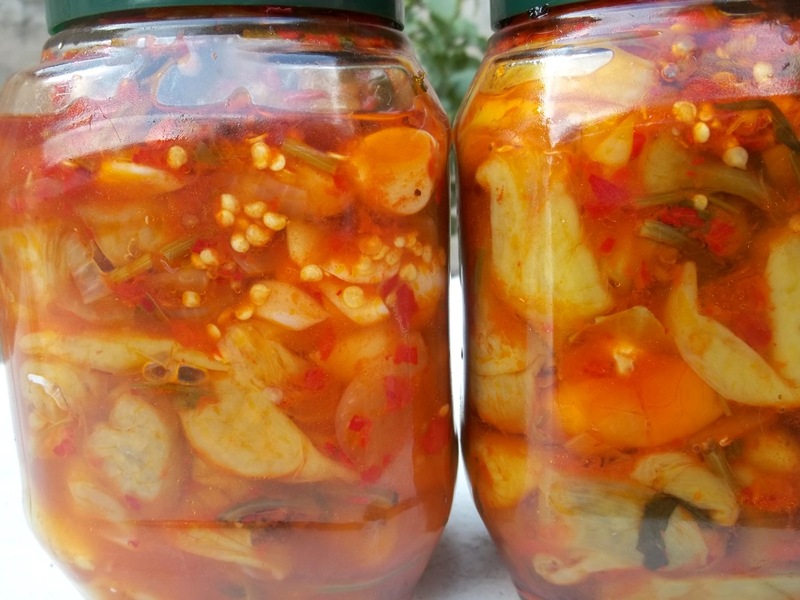 Storing: Prepare the jars and covers by washing them in very hot water and leaving until they are completely dry. 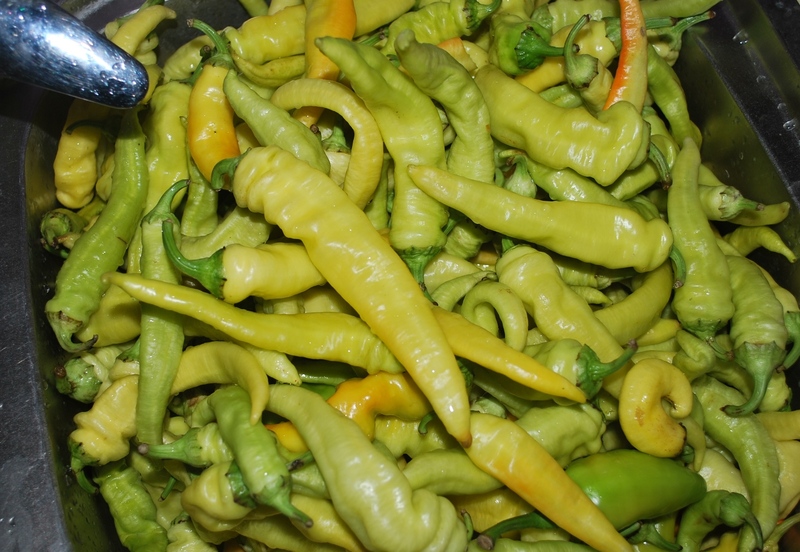 Fill each jar and use a gloved hand to press down the peppers. Top up each jar with the liquid remaining in the pot. The liquid should completely cover the peppers. Each jar needs to be filled to the brim to create a vacuum. The jars should be stored in a cool, dark basement or be refrigerated. 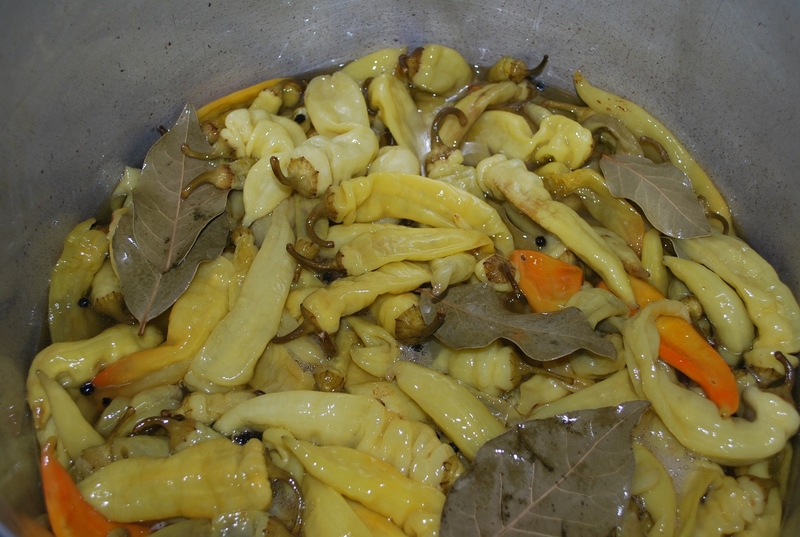 Serving: Marinated peppers can be eaten with lobio or meat dishes or by themselves. 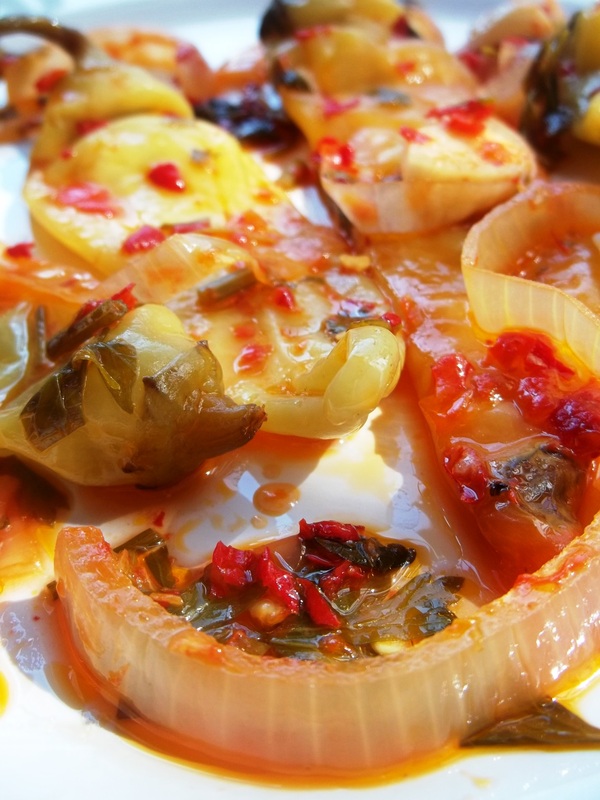 Enjoy your Marinated Sweet Peppers!